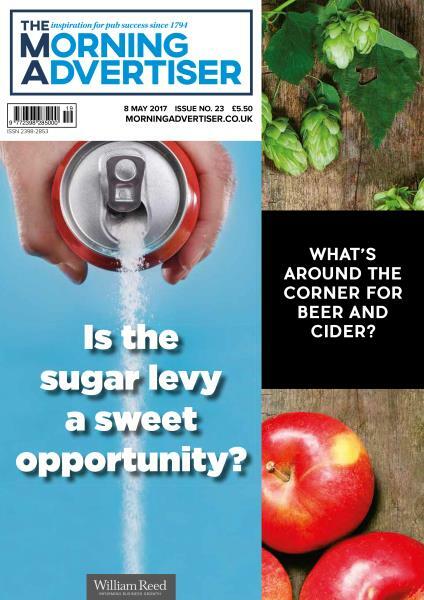 The Morning Advertiser and The Publican have joined forces to bring you the best of each publication in one place.Trusted by pub owners and licensees since 1794, The Morning Advertiser is the definitive source of news and information for over 30,000 pubs across the UK. The Morning Advertiser Magazine includes tips to help boost your business- everything from the latest product launches to brilliant new marketing initiatives, fascinating editorials, exclusive interviews and engaging commentary written by our expert team concerning every aspect of your business. All things from delving into the issues shaping the sector, delivering the information that matters, whilst making it relevant to the operations at the bar, dates for your diary and information on industry awards, conferences and networking events. The Morning Advertiser delivers essential business advice keeping you abreast of the latest consumer trends and market analysis. Its award-winning team of journalists cover all types of pubs - tenanted & leased, franchised, freehold and managed - and provide operators with industry news, analysis and opinion, as well as licensing law, property news, drinks news and plenty of food content. Buy a subscription through Unique Magazines today!